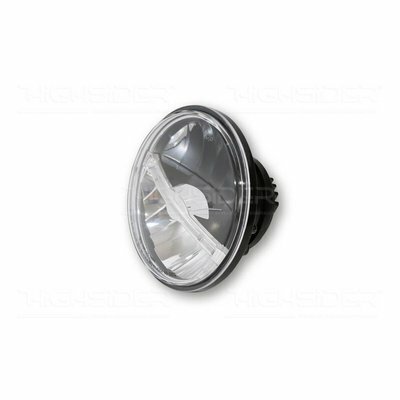 HIGHSIDER 5 3/4 inch LED main headlight JACKSON, black metal housing, round, chrome reflector and clear lens, high and low-beam with LED light guide system as front position, bottom mount, E-marked. 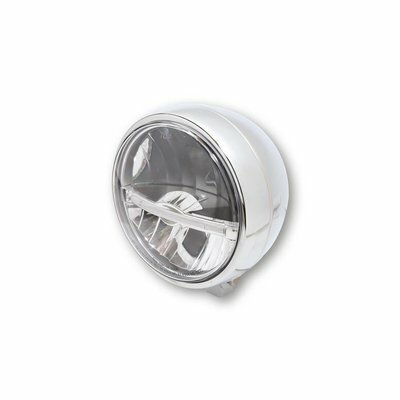 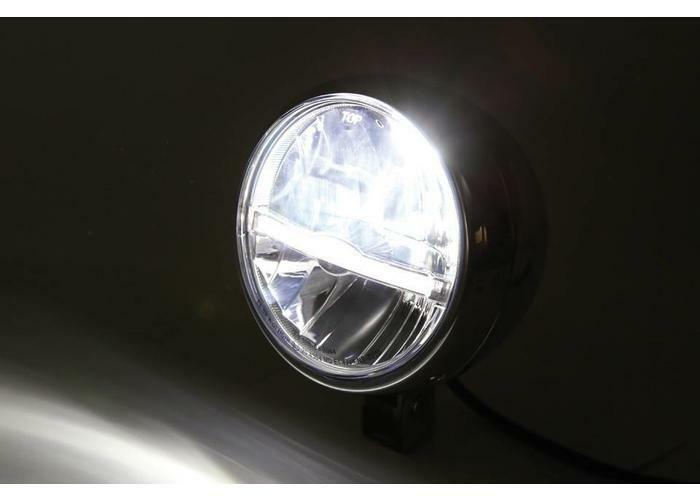 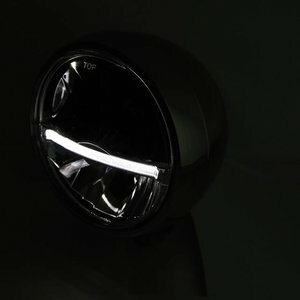 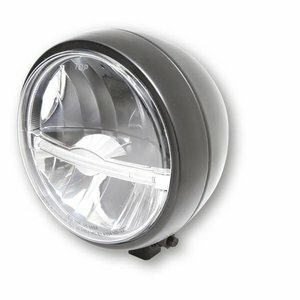 Round LED headlight with high- and low beam in a black metal housing inclusive chromed reflector and clear lens for bottom mount. 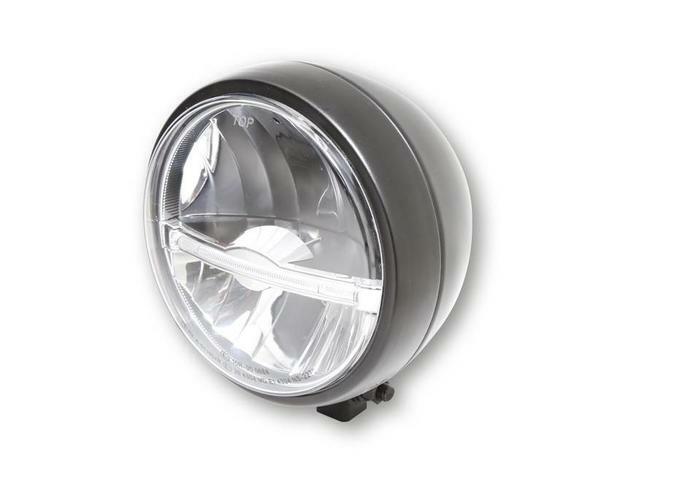 LED front position light is built in the centre of the insert as light strip (light guide system). 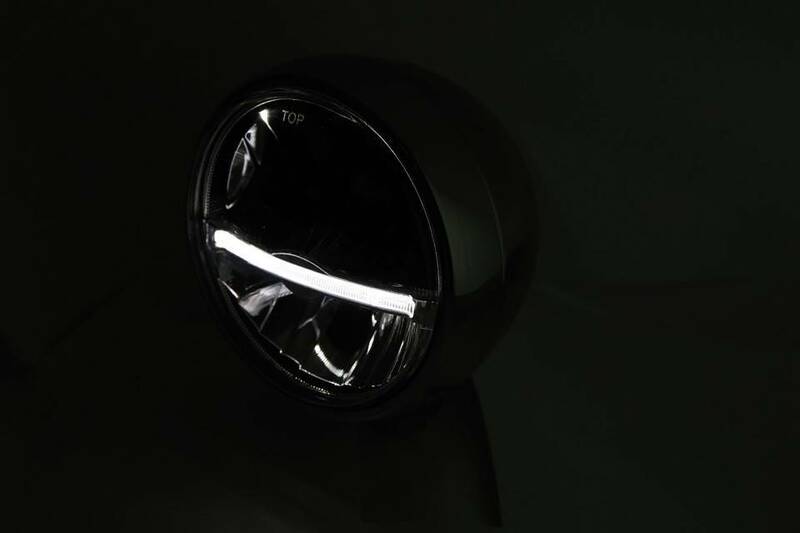 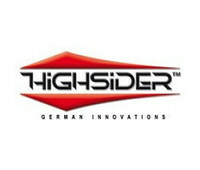 Headlight is equipped with an asymmetric reflector - approved only for right-hand driving, E-marked. 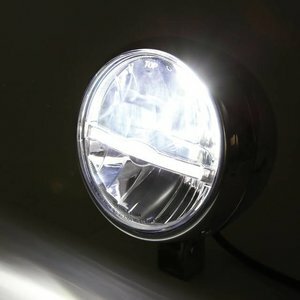 tune your bike to its unique style! 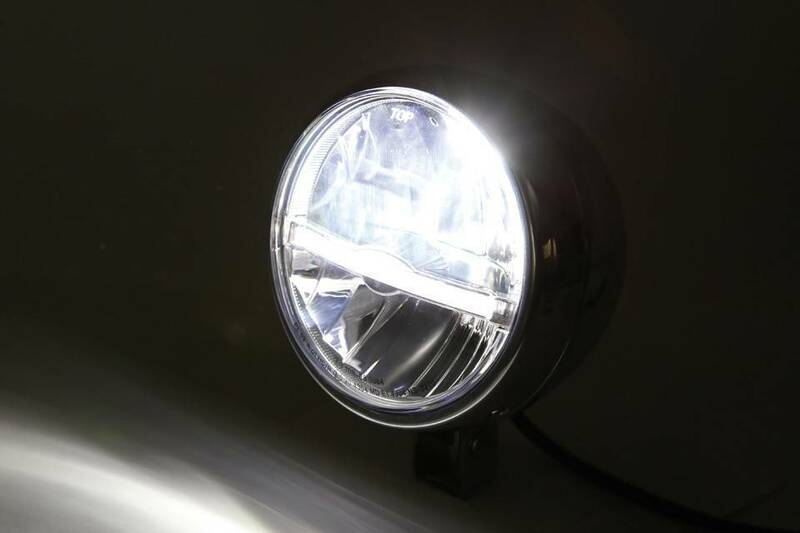 The exceptional design and the perfect technology of the HIGHSIDER headlight series makes you absolutely to a highlight!